My webpage Over-vaccination of pets – an unethical practice provides a summary of the extensive research and correspondence undertaken by me and my colleague Bea Mies on over-vaccination of pets. Email to Kareena Arthy, Chief Executive Officer, Australian Pesticides and Veterinary Medicines Authority (23 April 2014) challenging continuing over-vaccination of dogs with core MLV vaccines. Email to Anna-Maria Brady, UK Veterinary Medicines Directorate (23 June 2011) requesting evidence to support the veterinary industry’s call for revaccination of pets. Email to Anna-Maria Brady, UK Veterinary Medicines Directorate (1 April 2011) providing a pet owner’s perspective on pet vaccination. Email to Mark Kelman, Virbac / Australian Small Animal Veterinary Association (7 February 2011) re further questions about the Virbac Disease WatchDog. 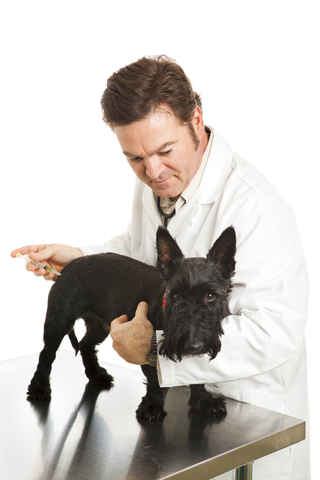 The Australian campaign for ethical and evidence-based vaccination of companion animals (February 2012).